Therefore I will boast all the more gladly of my weaknesses, so that the power of Christ may rest upon me. For the sake of Christ, then, I am content with weaknesses, insults, hardships, persecutions, and calamities. For when I am weak, then I am strong. 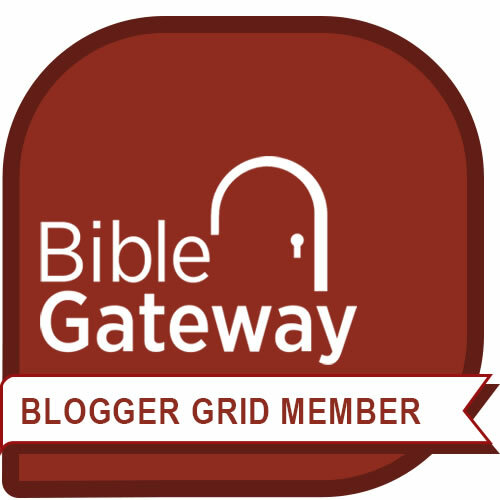 The thorns that I give thanks for are similar to what Paul refers to in the above passage. Sometimes we are given a weakness in the form of physical illness, mental illness, urges, and troublesome people. No matter how much we pray and fight, they won’t. go. away. They sap our strength. They humiliate us. They test our faith. So why be thankful for these horrid things, these thorns? Thorns allow God’s power to shine through. They keep us from the downfall of conceit. They teach us to rely on God and not ourselves. Allow me to illustrate through a real-life example. I am friends with a very dear, sweet lady who is the wife of a preacher. Her husband is such a powerful speaker both in volume and in message that he doesn’t necessarily need a sound system for his message to get through. In contrast, she is small in stature, soft spoken, and gentle. Her eyes glow softly with the light of Christ. Her presence is calming. She and her husband are an excellent team, balancing each other in perfect harmony. She has done a great many things for others over the years, working quietly in the background, supporting and encouraging her husband, and raising three godly children. She has done and continues to do all these things while being afflicted with multiple sclerosis (MS). MS makes a person feel weak along with abundant aches and pains. While she may tell you about it when asked, I can’t think of a time I’ve ever heard her complain. She always has a ready smile and, as I say, the light of the Lord in her eyes. That steely strength doesn’t come from her own power. She relies on the strength of the Lord. His power shines through her thorns. Her humble spirit allows Christ to be magnified. She lives with joy in spite of her pain and weakness. She continues to work for him in spite of fatigue. I am thankful for people like Vicki and the Christ-like life they live each day. Give thanks for your thorns. Every time you are tempted to complain, be thankful for the opportunity to allow God’s strength to be magnified through your weakness. Good Morning! 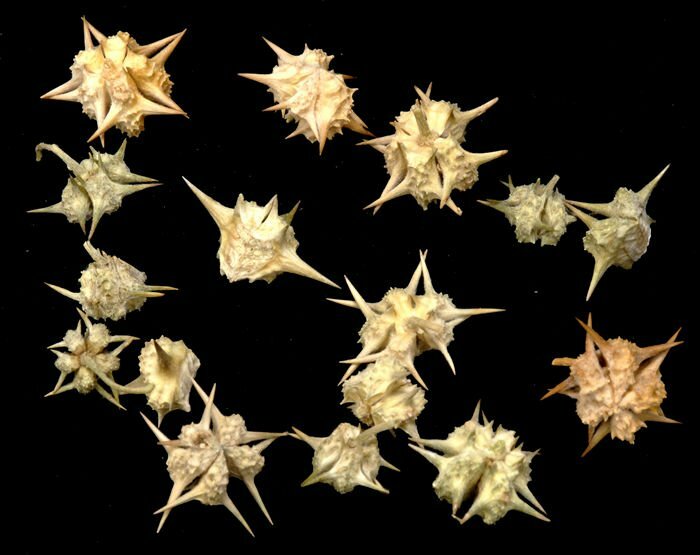 We have those goat-head thorns where we live! Thank you for your writing. That passage from Corinthians, along with Roman 8:28, are passages I personally have to frequent. Yes! I think I need them plastered to my forehead sometimes. 🙂 Those goat-heads can be pesky. I went on a walk when I first moved here along the sidewalks and next thing I knew, the tires of our stroller were flat. Goat heads. I’ve learned that green tire slime can be very helpful… May you have a blessed day as well my friend! I hope you were close to home with flat stroller tires! :) We’ve resorted to replacing all our tire tubing with a special, extra thick, tubing and LOTS of green slime! Yes, thankfully we were near the house, but good grief! Thank you and may you have a wonderful week too! Thank you so much. I always appreciate you sharing my articles. God bless. You’re very welcome Elihu, it’s my pleasure! Lord bless you too! I know goat-heads intimately. I’m told they make for a healing tea. Sometimes, I think I should farm them but they need to farmer, they flourish in the deadest ground and the direst heat. Thank you for reminding this fellow desert dweller to be thankful even, for goat-heads. God bless. Isn’t it funny how things like goat-heads and stinging nettles—things that are so painful can also be the source of healing? i forgot about the tea… what a good reminder. Sounds like another post in the making! God bless you as well, my friend and thank you for your encouraging comment. Not an easy thing to be thankful for. But we must! So true. I am finding writing these posts is helping me focus on the silver linings. Thorns have their purpose… 😊 Thanks for reading and leaving a comment. May the Lord be with you.